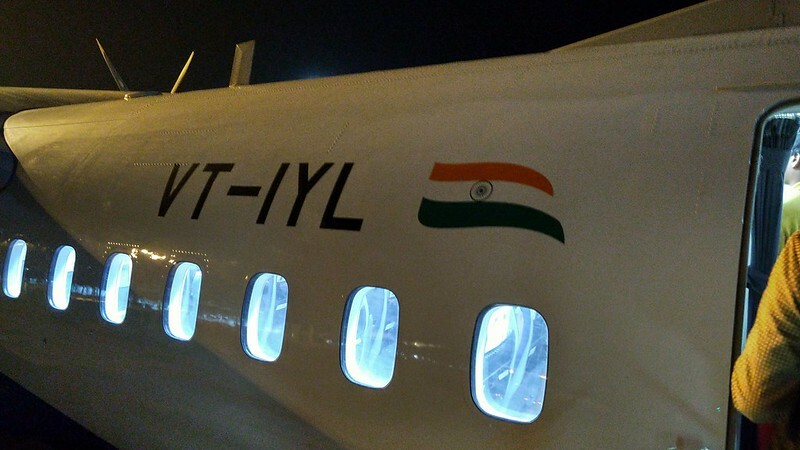 Airliners-India :: View topic - An eventful ride on a 6Ey ATR 72-600 from Tirupati. An eventful ride on a 6Ey ATR 72-600 from Tirupati. 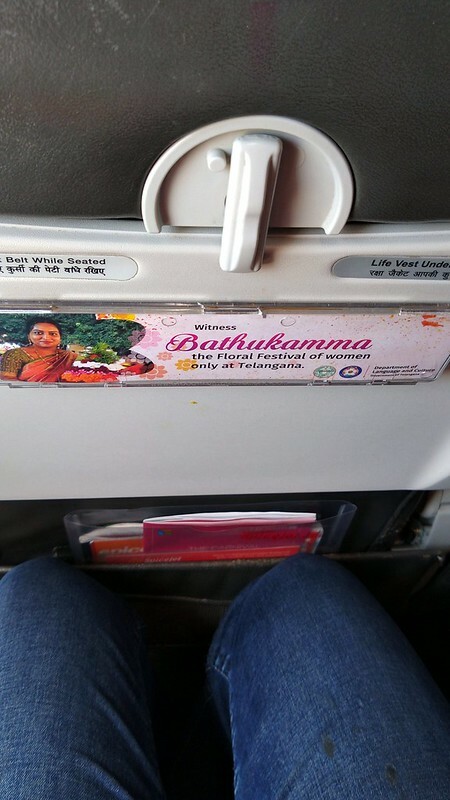 Posted: Sat Mar 23, 2019 5:37 pm Post subject: An eventful ride on a 6Ey ATR 72-600 from Tirupati. Holi greetings to all fellow members!! It has been almost too long since my last trip report. In my defense, I had not been flying any interesting routes for the past couple of years. I relate to the fact that the same old 6E A320s and 9W 737s can often become quite a monotonous read. A chance to fly on an ATR after three and a half years was like a breath of fresh air after all those A320s and 737s. This trip report is one of two that will be posted on the forum within the month. Hope you like it and enjoy the read. Your valuable suggestions and comments are most welcome, as always. I write on this blog to share my fascination of these exciting birds with like-minded people who share my enthusiasm about airplanes. Let’s get started then. A trip to Tirupati was being planned for the month of March this year, but kept getting pushed for some reason whatsoever. When a trip to Prague got finalized for the end of March, I got the opportunity for a quick day’s getaway down south. The tickets were booked by my dearest ones and I didn’t quite have much of a role to play with the planning. 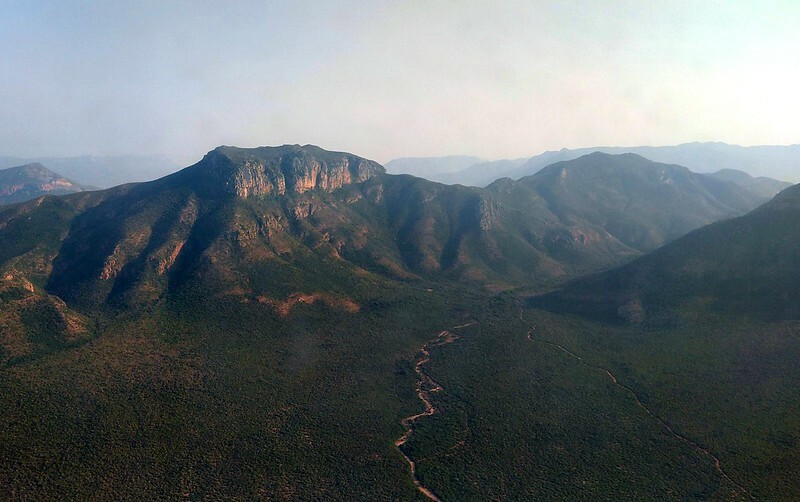 The flights booked however, turned out to be rather interesting. 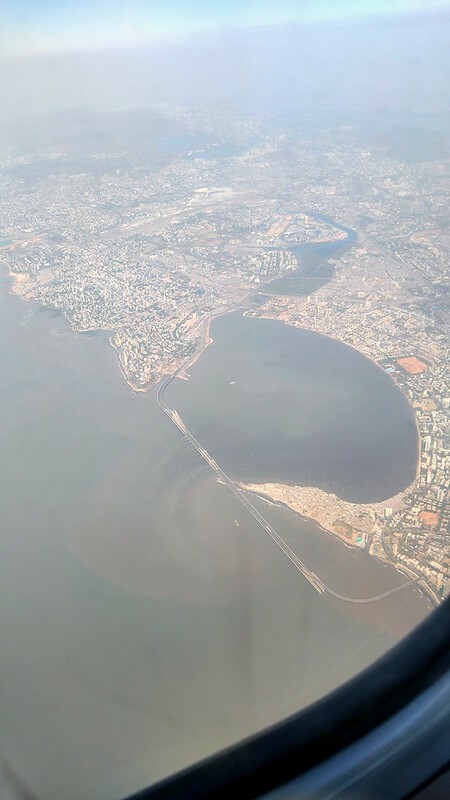 The onward leg was on a Spicejet flight SG467 from Mumbai to Tirupati with a quick hop in Hyderabad, operated on a 737 Max-8. Things took a drastic turn for this leg and the aircraft got swapped to a 737-800 NG with Boeing Sky Interiors. This was because of the Ethopian crash and the Max 8 groundings (I didn’t need to mention this to you guys, but nevertheless). 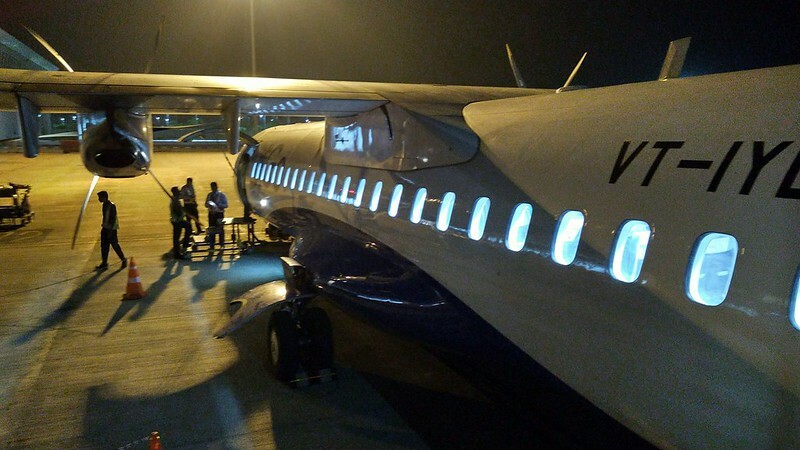 The return leg was planned on the last flight out of Tirupati on a 6E ATR 72-600 and a red eye to Mumbai after that. Flightradar24 had been showing an A320 neo doing the last sector once in a while, and I thought I’d get some fodder for this TR in the form of a comparison between the new generation aircrafts from both these rivals across the pond. While I didn’t get a chance to make a comparison, I did get a ton of fodder for the TR, which I will narrate to you like a story, in the manner Joe and Anthony Russo intend to narrate Avengers Endgame. That is, as you keep reading ahead. The trip to Prague has been planned on Lufthansa’s A330-300 service to Munich and onwards on an Embraer E195. I will also be trying out Lufthansa’s A350-900 which will be re-introduced to Mumbai starting 31st of March this year. That is a TR that’ll follow soon after. A 4-year-old beauty named ‘Red Chilli’, (was sporting the ‘With all our hearts’ livery until recently). 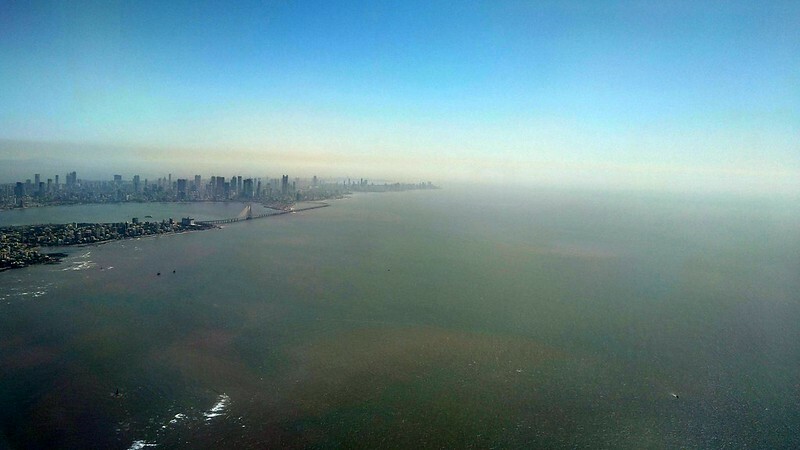 I rode into Mumbai that morning on the Ahmedabad Duronto. 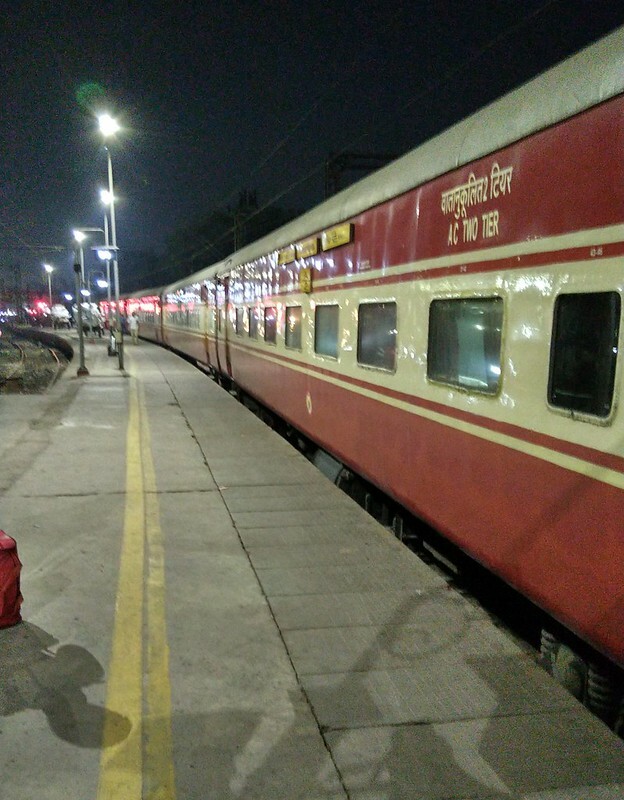 The train uses an old ICF rake that once was the Swarna Jayanti Rajdhani Express. These coaches always make me feel nostalgic. 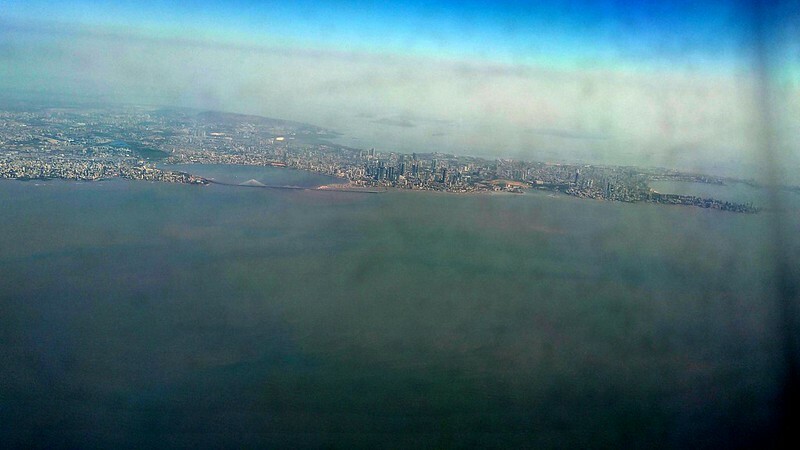 I was flying out of Mumbai’s Terminal 1 after a really long time. 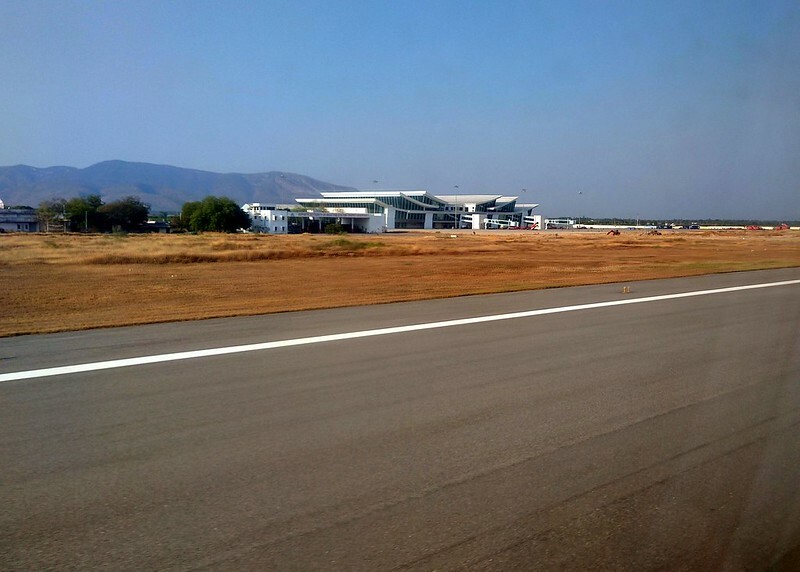 My flights out of Mumbai have typically been to Aizawl, which is operated only by AI and 9W(until it stopped recently), and so I’d fly out of Terminal 2. This outing through Terminal 1 was a reasonably good experience. Nothing fancy to write about, but nothing special either. The plane pulled into gate 23 (an aerobridge gate) a tad late from Jaisalmer. The captain did go on to apologize about the inconvenience caused and blamed it on the late arrival of the aircraft from the previous sector (as if that was being operated by a different airline). Zone based boarding was announced at the original departure time and enforced strictly for a change. I happened to figure out a loophole in security when we started to board. Kindly weigh-in with your thoughts in the comments below. 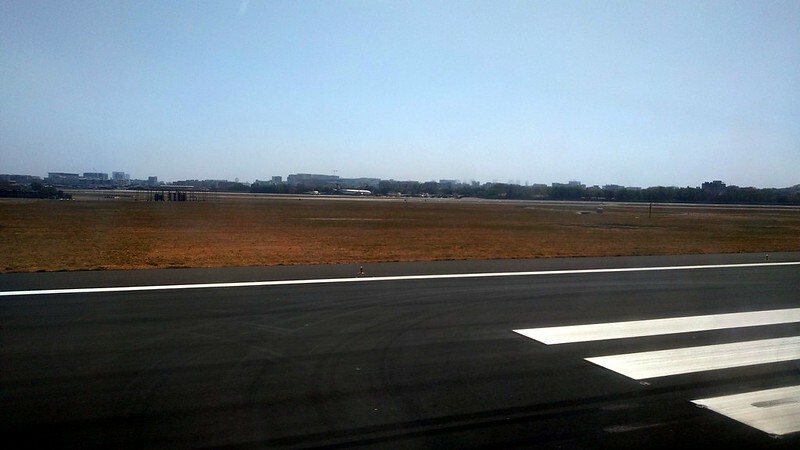 We pushed off 30 minutes behind schedule and waited at the threshold of Runway 27 for an Indigo A320 to land. This turned out to be Indigo’s A321 neo, which I couldn’t click because it took me too long to realize. Some grounded 9W 737s at the distance. A beautiful take-off into the afternoon sky with a turn towards the South-east, led to magnificent views of my favorite city. A little into the climb, the F/A s got into action and started the meal service. 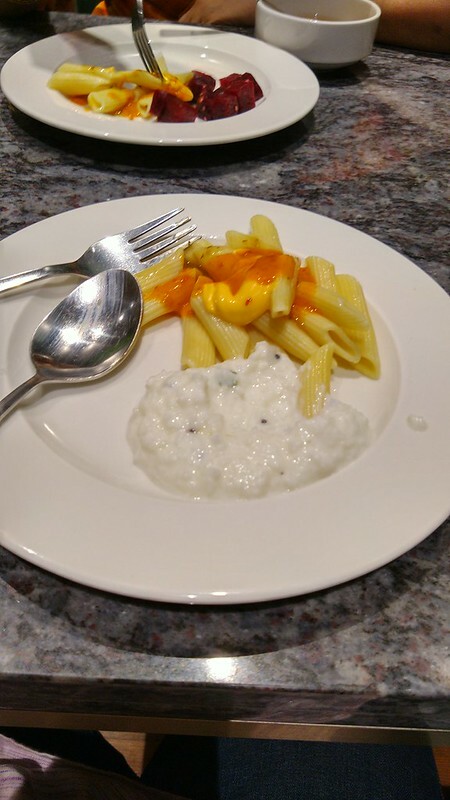 A vegetarian meal had been ordered for me, and it was quite a delight. A vegetarian biriyani with Mirch ka Salan and Mysore Pak for dessert. 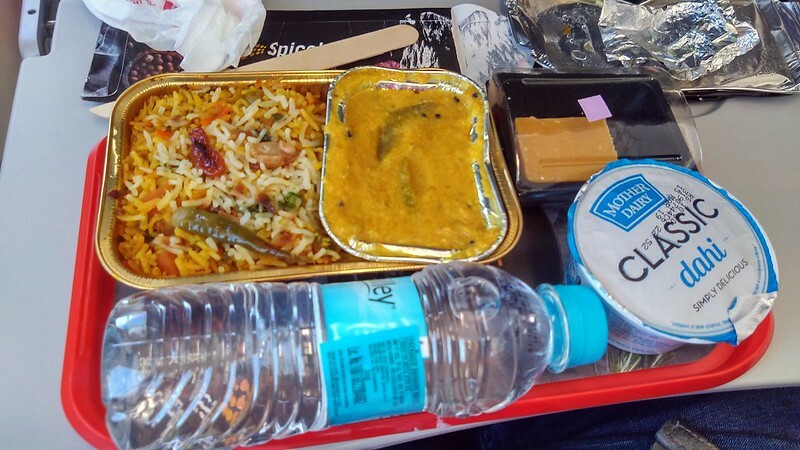 It was a really good meal, considering that my airline meals are held at comparison with Air India meals, and those are tough to match. 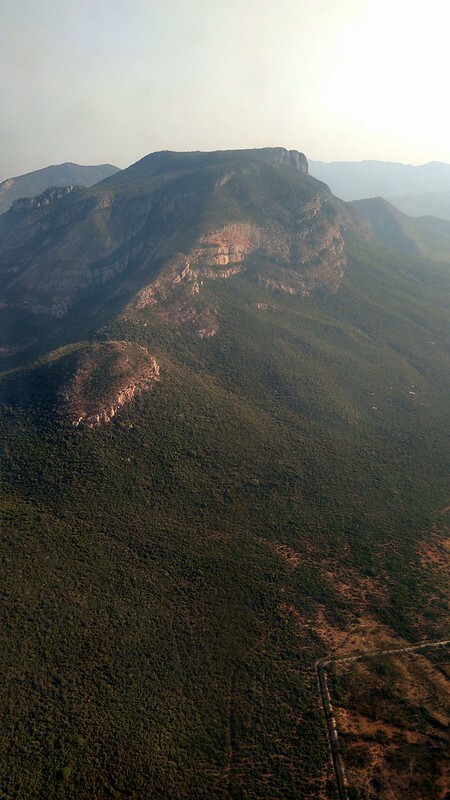 I dozed off after my meal, waking up only to witness the final approach into Tirupati. 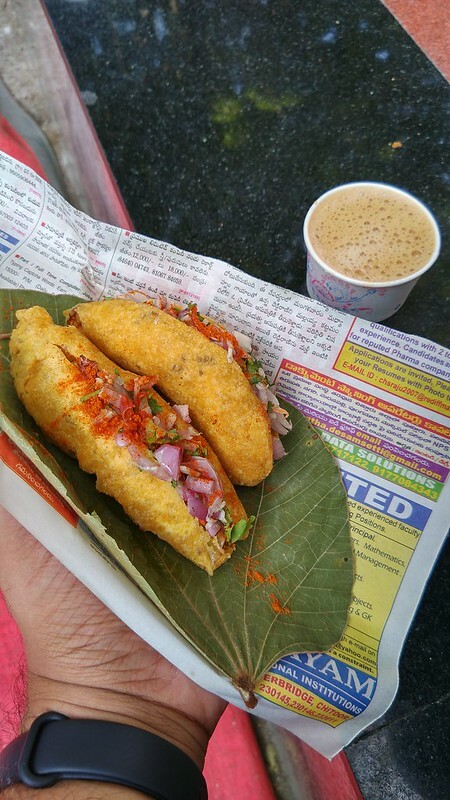 I had taken the overnight Duronto into Mumbai the previous night and barely got 4 hours of sleep. 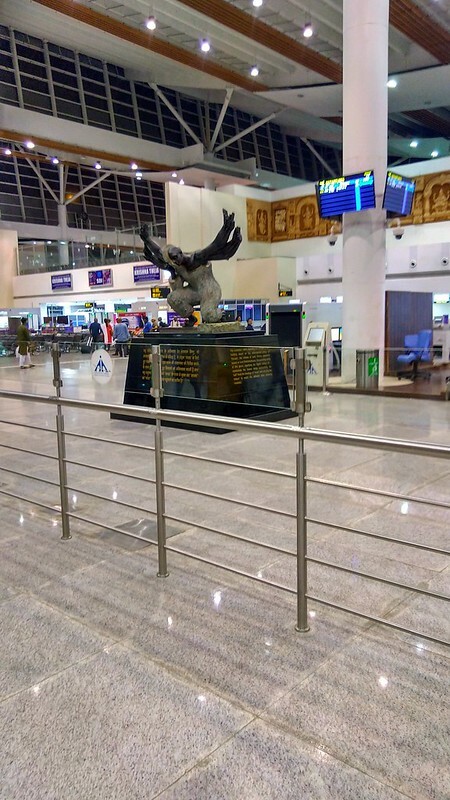 The new terminal at Tirupati is designed after the Garuda, Lord Balaji’s Vaahana. The airport has several portraits of the lord, but it is pretty obvious why people come to this town. I was there for the same reason too. The terminal looked quite OK. It is reasonably well sized for the kind of traffic it handles, but should expect expansion plans soon enough. Leaving the purpose of the trip aside (religion is personal stuff), let’s fast forward to the return leg. ATR 72-600 registered as VT-IYL, a 5-month-old unnamed beauty. We reached the airport a little after 18:00 for our flight close to 21:00. I was really excited for this one, given that the 6E ATRs are new to India and that this is my first time one of the ATR 72-600s, the other flights being on older variants. A TruJet ATR to Hyderabad departed 5 minutes before our scheduled time of departure and I was anticipating a close race to the finish. We boarded strictly zone-wise and got bussed to the aircraft. 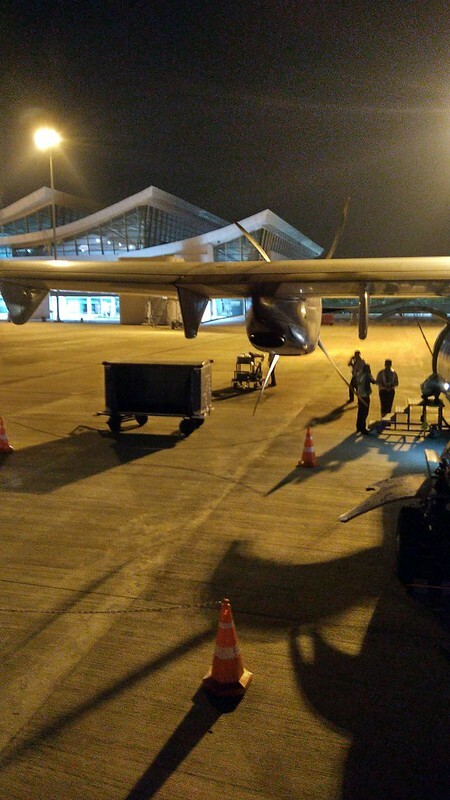 6E uses a ramp to board the ATR, even though the ATR has an in-built set of stairs on the rear door at the left. 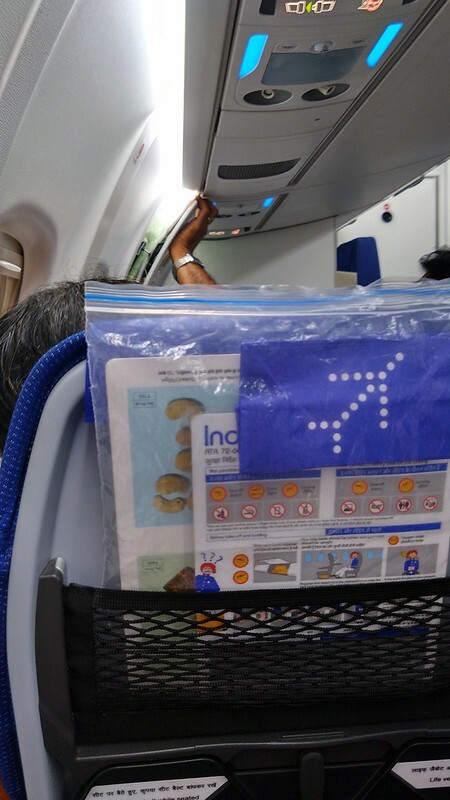 I got comfy into my seat at 4A, the third row behind the emergency exit and buckled up for a short and sweet hop to Hyderabad, with two hours post-arrival for my connection to Mumbai. Nostalgia kicked in earlier and prompted me to make that purchase. This is when ALL. HELL. BROKE. LOOSE!!!! 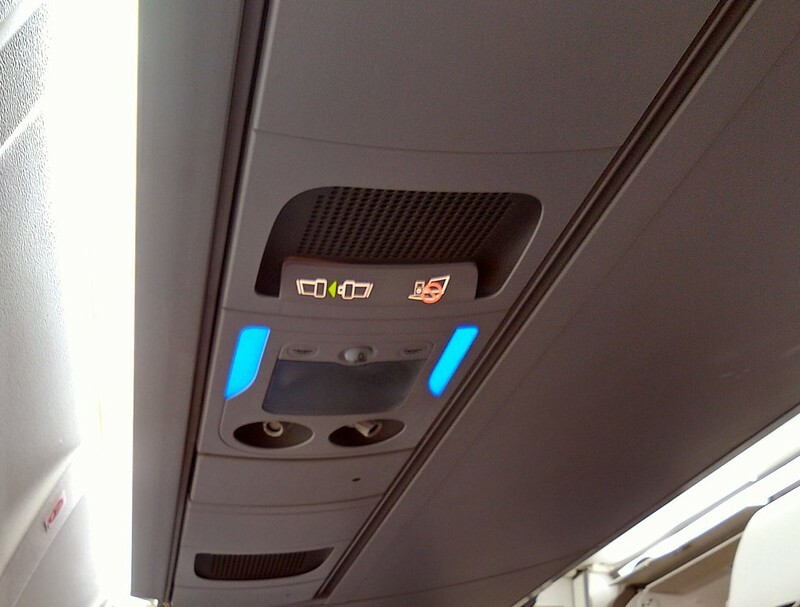 The F/A had walked over to the front rows for the typical quick instructions to passengers seated in the exit rows. With 2A left empty, the person at 2B started listening to the lady about what to do and what not to do. As she neared the completion of her instruction, his hand had wandered towards the vicinity of the door handle. As she walked away towards the back, he tugged on the handle and out popped the door. He held his hand against the door, preventing it from falling on him and trying to get it shut, but the damage was done. The ooohs and aaahs of passengers in the front drew the lead F/A’s attention and she stormed right over. The person on 2B denied having done anything, which now shifted the responsibility onto the FA who delivered the instructions. At this point, we were almost all set to go, and the props hadn’t been turned on yet. But the engines could be heard. We were almost at chocks-off. The FA immediately called the pilot from the front intercom and the airplane engines were shut down. The airplane turned ghost-silent and the lead FA ran to the back. She asked the passenger at 3D to accompany her to the back so that she could understand the real story. Meanwhile, the entire welcome party could be seen outside. The buses, the ramp and everything else was pulling over and the doors were opened at the rear. The Aircraft Maintenance Engineer (AME) stepped in and had a conversation with the passenger at the front, who kept repeating that the aircraft was faulty and that he was innocent. Given that the aircraft ad just flown in from Hyderabad, and that it was 5 months old, it was highly unlikely that the aircraft was faulty. I have flown on ATR 42s belonging to Alliance Air in the past, which were close to 3 decades old. They have had minor mishaps, like a nose wheel dropping off maybe, but never has an emergency window popped open of its own accord. The pilot, Captain Kishore, stepped into the cabin meanwhile and spoke to the AME. He suggested that they proceed to go over the problem, but not while the passengers were in the plane. He ordered us to deplane and we were back in the buses soon after. While in the bus, I took a que from sitting at the front of the plane and stood right at the front near the bus driver. This was helping me get information first-hand, without waiting for announcements. The culprit behind it all was in my bus too, and people started passing all kinds of comments on him owing to their frustration. The aircraft was visible at a distance and the entire crew could be seen assembled near the left side propeller to dissect the matter. The ground personnel near me started discussing the action plan ahead and mentioned that the cabin will need to undergo a pressure test before it could be certified air-worthy. 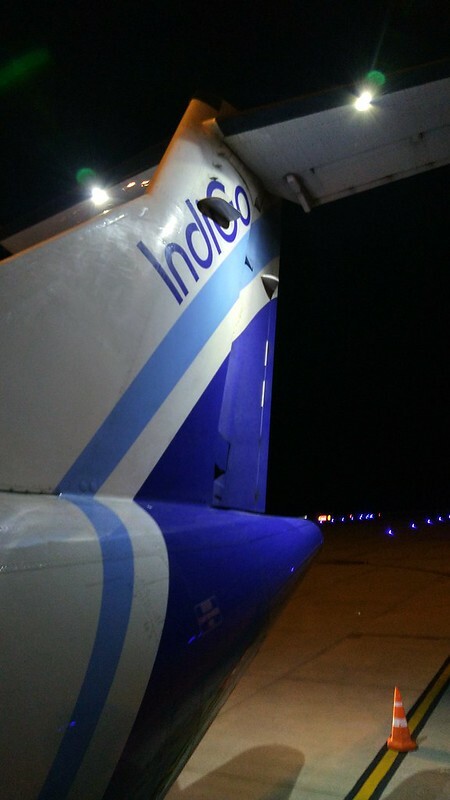 One of the ground personnel came running from the aircraft and asked for the culprit. He walked over and deboarded the bus. 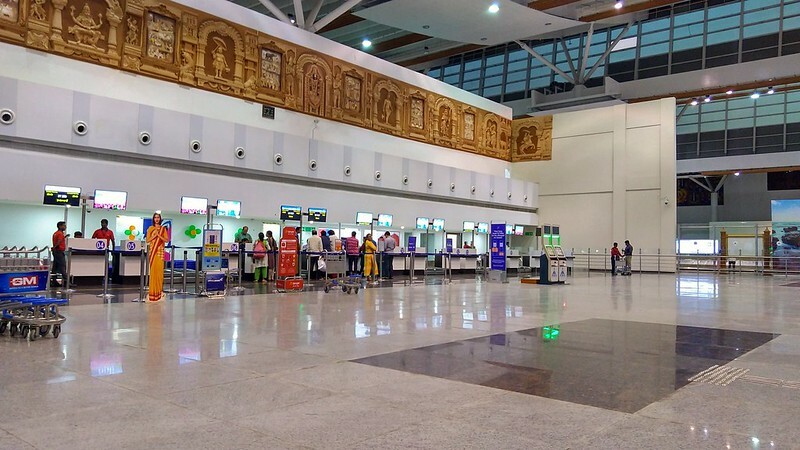 According to CISF rules, because a single passenger was deplaned, the entire set of passengers had to be deplaned and issued new boarding passes. We had to undergo security check again and go through the entire oompah-loompah. The crowd was getting absolutely furious at this chap now. We were taken back into the terminal and issued new boarding passes. The flight was now an hour late and our connection was getting closer. 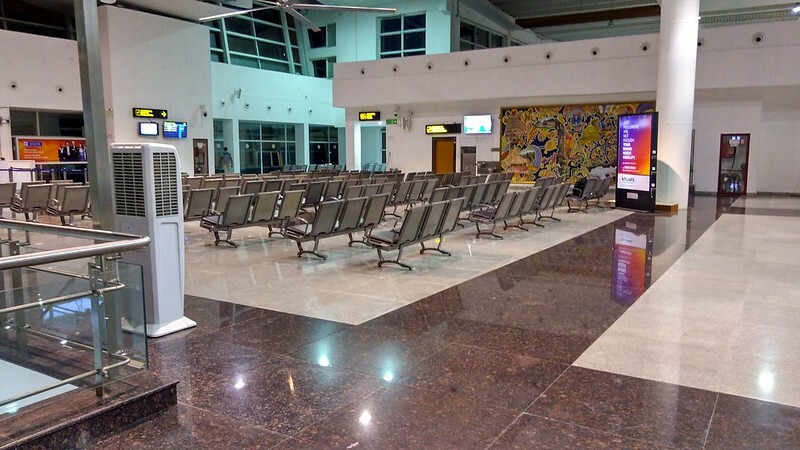 We were promised a ramp-to-ramp boarding at Hyderabad but that never happened. 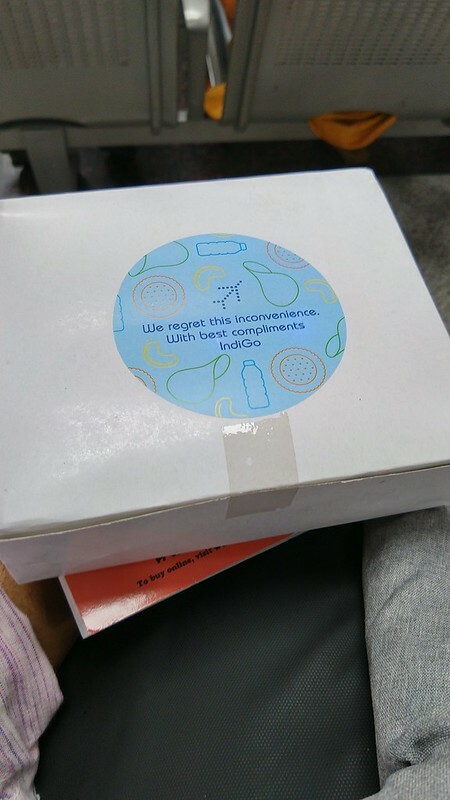 We were issued snack-boxes after the security check area and went on to sit there for the next hour. The plane was turned on, the noise was audible from the terminal. We started boarding soon after, close to 22:20. Boarding was completed soon after and the focus of attention of all the passengers up-front was the door, which looked some millimeters too loose. We had the other door for comparison. The captain came back on the PA and announced a flight time of 70 minutes into Hyderabad. We were cutting it too close. The rest of the flight was uneventful, other than the fact that the door fit in snuggly into the frame and became as good as normal during the flight. The pressure probably forced it into the frame and everything worked just fine. 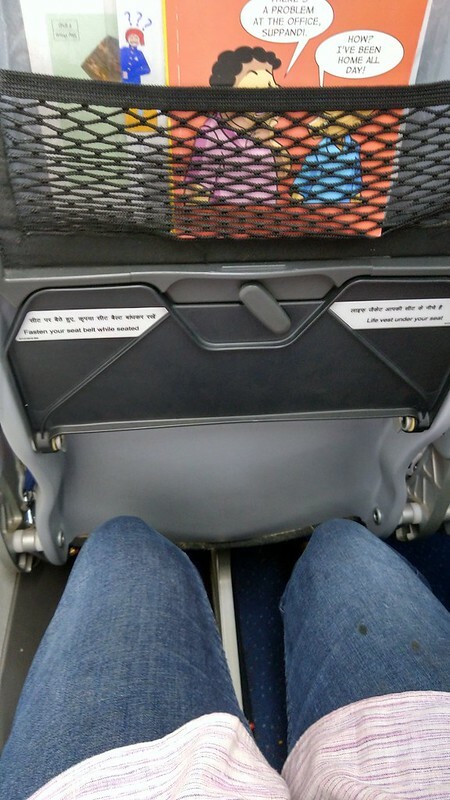 The legroom was perfect, alike most ATR planes and the aircraft looked like something from the future. I found it something close to a smaller Dreamliner maybe. The seats were great and so was the console above. The FAs came and personally apologized to each passenger before we started descent and thanked us for flying Indigo. 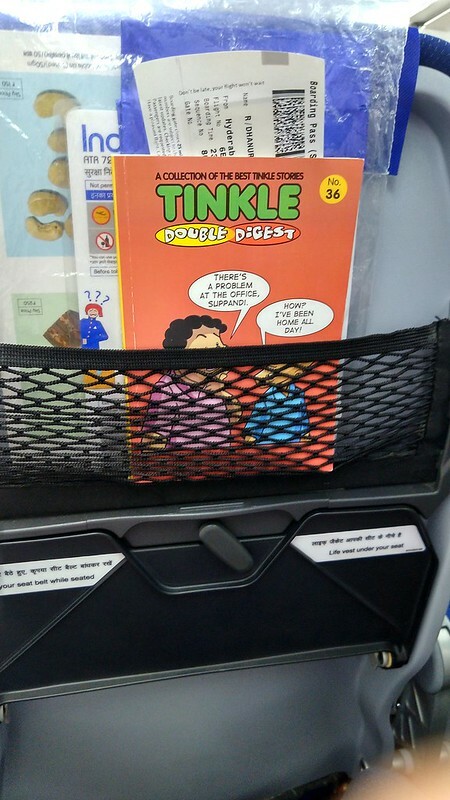 I must commend the manner in which Indigo handled the entire situation. Kudos. 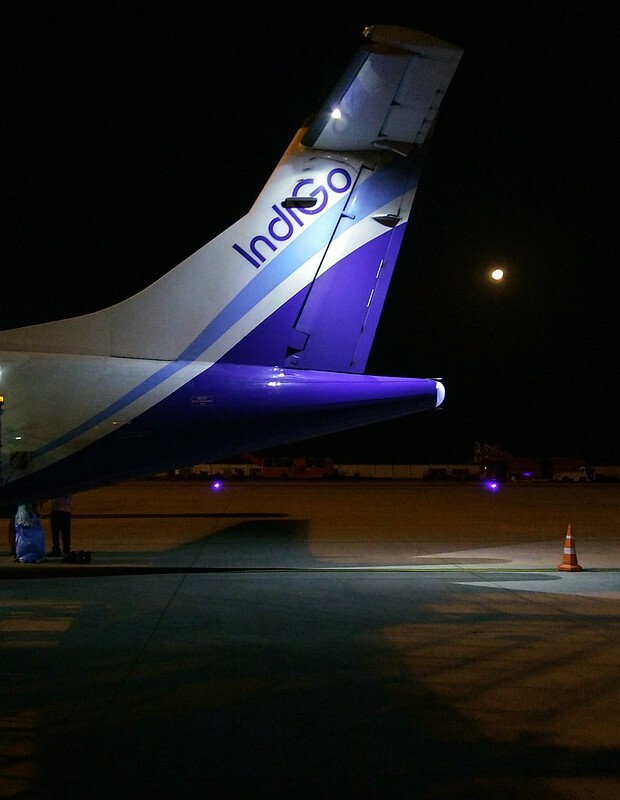 We landed into Hyderabad and parked at a remote bay full of Indigo babies at 23:54. It was like an Indigo bus-stand. Just Indigo all around, with the exception of the single Alliance Air ATR. 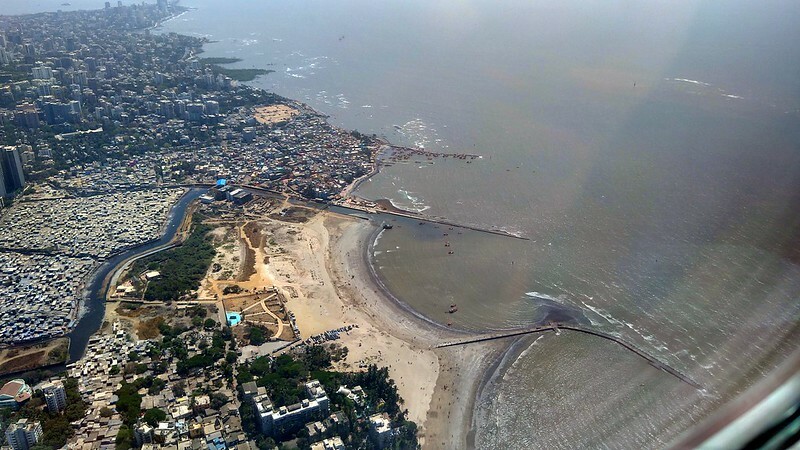 The ground personnel informed us that the connecting flight had departed meanwhile and the 13 Mumbai-bound passengers were asked to approach the transfer desk to get our next flights. There were 22 misconnections in all, most to Mumbai and Delhi. The transfer desk processed our new boarding passes immediately and offered us Lounge access to the Plaza Premium Lounge near gate 28 in departures. This was done very very professionally unlike Air India, which typically makes you wait around without offering anything at all. They usually take forever to get us our new boarding passes. We were booked for the flight at 04:00 AM, which meant a sleepless night at the lounge. 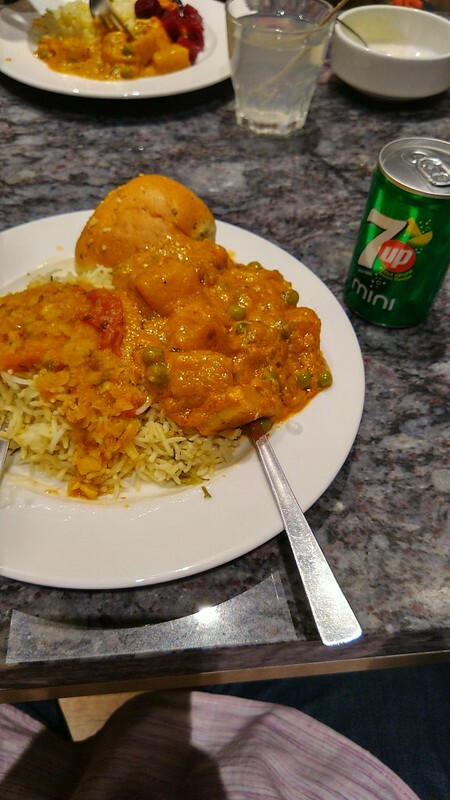 Some pictures of the food at offer, but I was left too exhausted to do anything anymore. 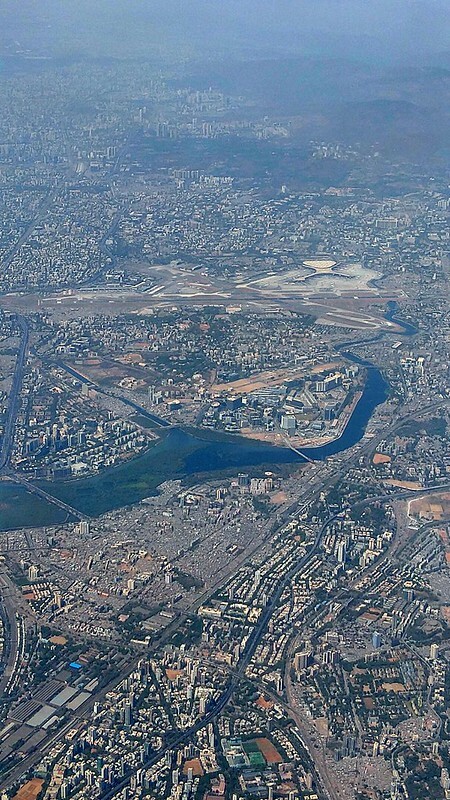 I barely remember what happened after I sat on my seat in 6E 428 to Mumbai and was woken up only by the thud at landing. I found out the registration only after checking it this morning on FR24. Just so you know, all this has happened only last night, that is the 23rd morning. The memory of all that has happened is hence picture clear. This is almost like a debriefing of the entire incident. All said and done, I was just glad to be back home. This trip was an eye-opener for me. As a country, we are now approaching a zone where there is a loss of regard to rules and regulations. People just don’t want to listen to another person and want what they want. I’m not basing this solely on this incident, but some 40-50 other instances that happened on this trip that weren’t so grave. I hope I don’t sound like I’m ranting on about this, but flying is serious business. Any tom-foolery will lead to loss of life. One sticks all his/her hopes to the leader at 7 Lok Kalyan Marg, but the change needs to be more fundamental, at the very base. I wonder what the repercussions of this incident could’ve been. The worst part of it all is, that people have become spectators. Nobody, including me went on to stop the chap from fiddling around. Not our business we think, but our loss at the end after all. I hope you enjoyed this TR. The next one is coming up soon. Wow, that's an eventful flight. Some people do have a habit of fiddling around with things. As a result of his curiosity, the rest had to suffer a delay plus missed connections. Very well written and great pictures. Good to have you back on this forum. Danny, it is very nice to see you back to the writing table for a trip report. You have already got us quite excited, about the Prague trip coming up, on a few exotic plane types (at least, for me). Thank you for the picture of the ICF old coach picture in the dark: they always look nice! That was an interesting observation about BOM T1: the boarding pass aspect. 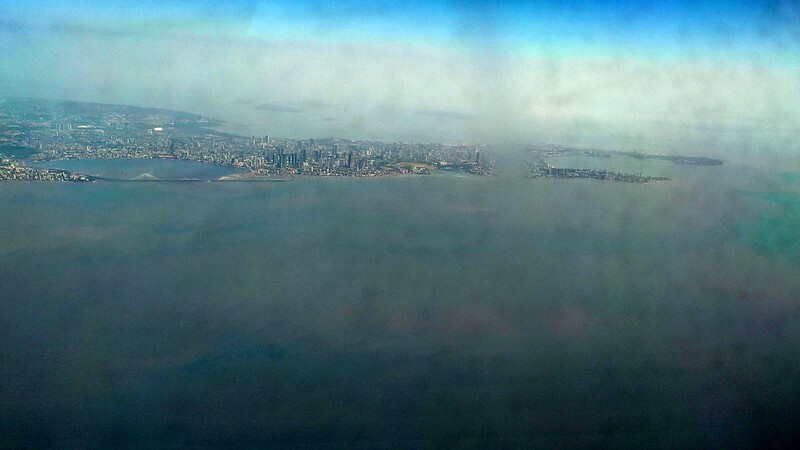 Very nice pictures of Mumbai from the air: yes, Mumbai is my favourite city, too! The SG meal looks quite nice. Wow, I have never been to TIR, and have a chance of marking the airport on my list this year. Thank you for the heads-up! The new terminal looks beautiful. 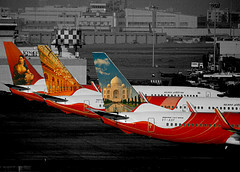 That delayed flight delayed all of Air India's North American departures out of Delhi that day. 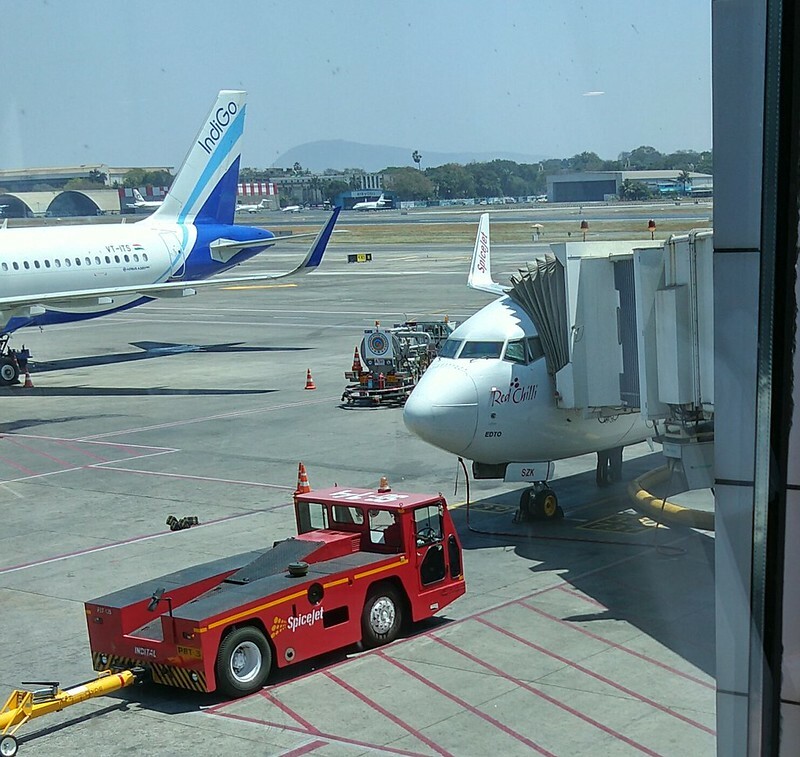 There were no announcements on the flight, just one delay after another, with a cryptic `a passenger's baggage was offloaded' announcement, and all of this, possibly for good reason, to prevent any panic. I admire the AI crew who knew about the situation, and kept their cool, while many irate passengers, didn't. The 9I AT4-3 nosewheel incident: I remember posting an article on this incident, on this forum. without any incident): Captain Urmila Yadav, and F/O Yashoo Pereira. 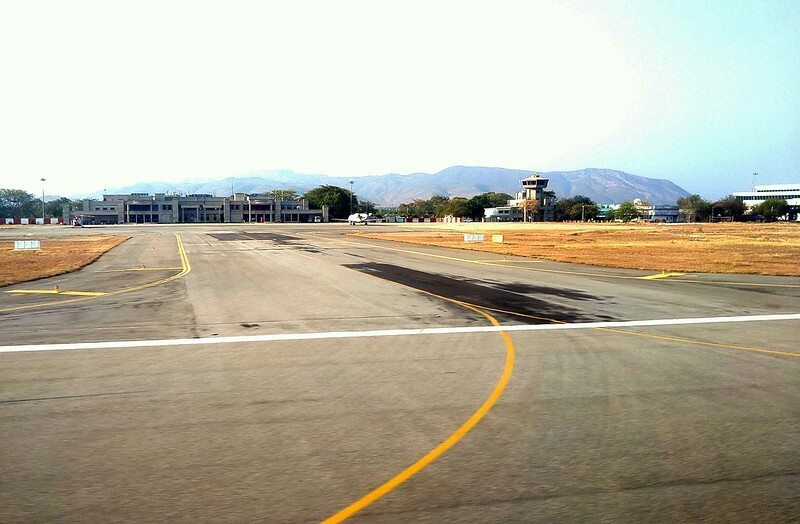 of landing, where the brave ladies handled the plane beautifully. congratulate them on their amazing incident. also in my list for another reason. safe, except possibly the animal itself. 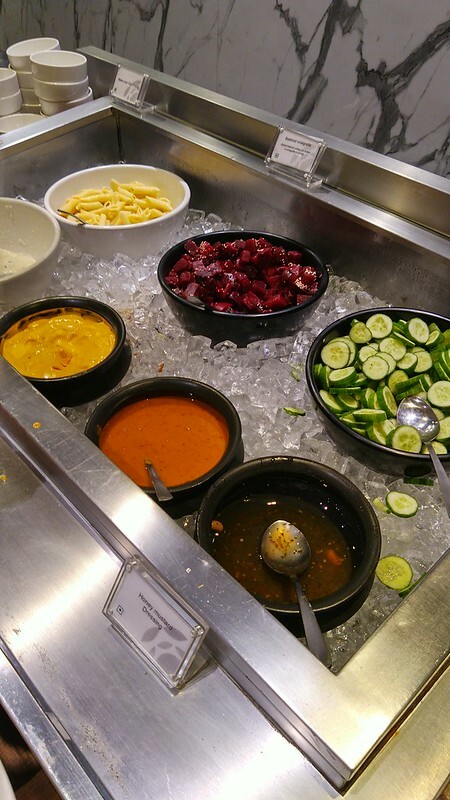 I am actually quite impressed at the way Indigo handled the situation, along with the food. I have been the beneficiary of this nice behaviour for a heavily delayed flight out of Indore back to Delhi, when Indigo offered a veg biriyanI box to each passenger. What was inside your box? The lounge access is indeed an excellent gesture. Thank you for a delightful trip report! I wish I could write and describe incidents as well as you do. 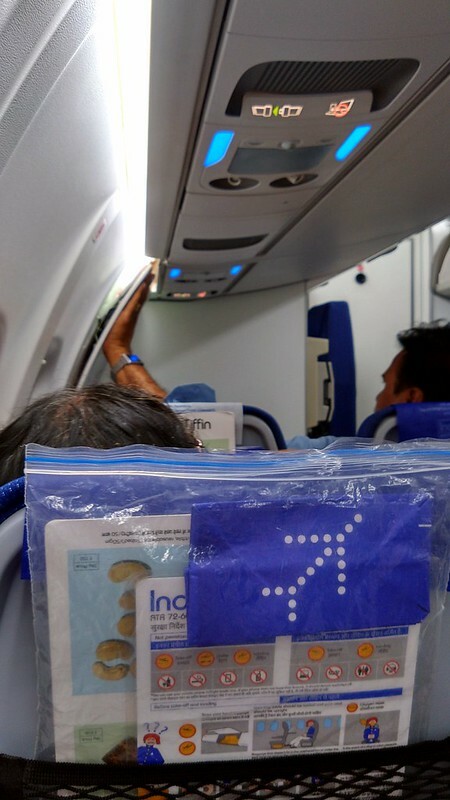 - Indigo handled the event very professionally and treated passengers the way one expects from a full service airline. BTW, in todays world who is really a Full Service, Legacy airline? 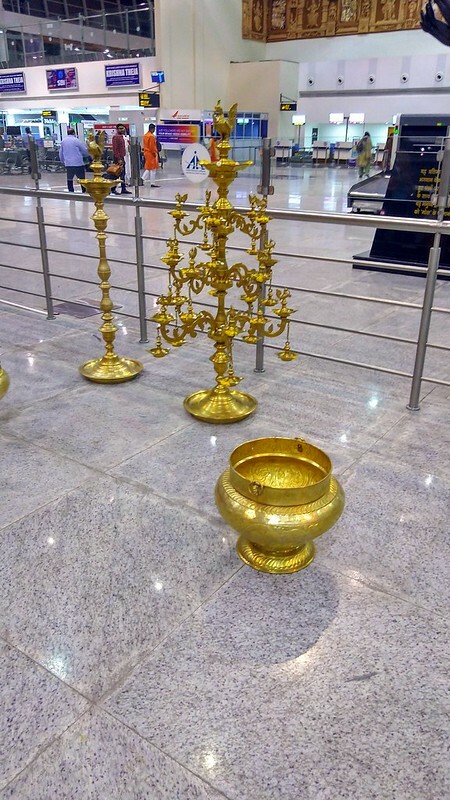 - Tirupati airport, nice picture of the building. Again, would have never known about it just as you educated me about Aizawl airport. Thank you, waiting for your next TR..